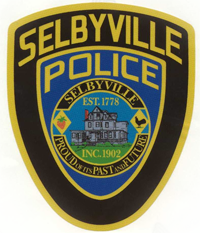 The mission of the Selbyville Police Department is to enhance the quality of life in the Town of Selbyville by working cooperatively with the public and within the framework of the U.S. Constitution, to enforce the laws, prevent crime, protection of persons and property, and maintaining public peace. Honor – Always act with the utmost integrity, and be honest and truthful. Enforce the laws equally and with bias. Hold yourself and other members to the highest of ethical standards. Duty – To protect and serve the public, prevent crime and apprehend offenders. Ensure the highest quality service to the public. Perform our duties honorably and accept the responsibility to carry them out. Our devotion to duty will never waiver. Community – Our ability to be effective in carrying out our mission is based on the credibility we have with the community. Understanding that we are part of, and not separate from, the community is critical. Pride – We are proud of our rich tradition of providing quality police services to our residents and visitors. We are proud to be a part of a noble profession, and the highly motivated, highly trained, and highly respected personnel we have. Originally, and for many years there after, only one officer was responsible for patrolling the business district east of the railroad tracks and commercial area around the railroad. The officer was also responsible for operating and maintaining the town’s water treatment plant. This responsibility continued on as the job of the Police Chief until the mid 1960s.